Kama Ayurveda is fast becoming my favorite bath and body brand these days and I feel great about including natural and organic products in my daily regime. 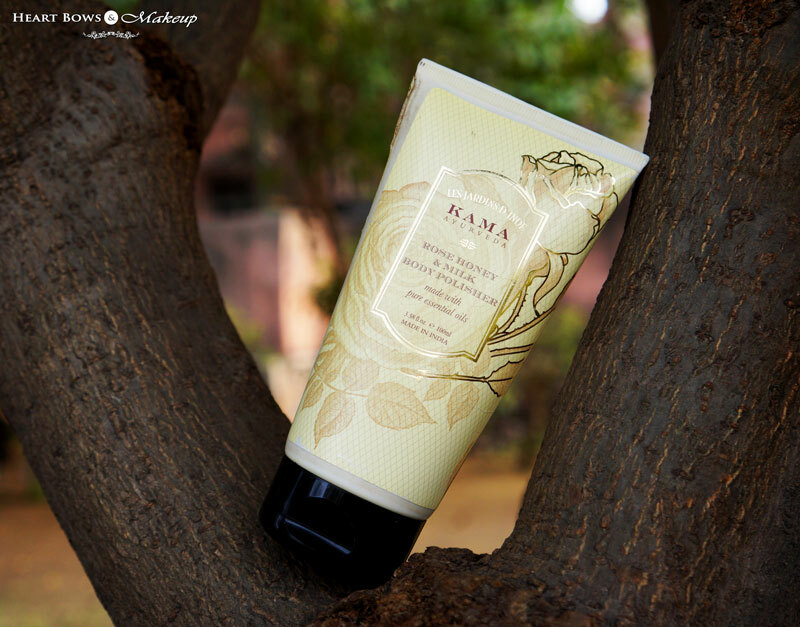 This winters I have been loving the Kama Ayurveda Hand Cream which instantly nourishes the driest of hands! I recently tried out the luscious Kama Ayurveda Rose, Honey & Milk Body Polisher which I shall be reviewing today. 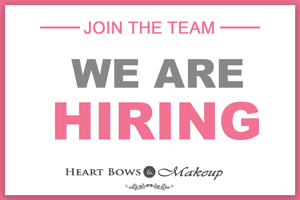 Read on to know how well it fared with me. Ancient beauty text recommends the combination of Honey and Milk as antimicrobial and a cleanser to keep the skin young, radiant, and smooth. This luxurious Rose ,Honey and Milk Body polisher made with hand picked rose petals and walnut scrub particles which are also natural antioxidant, helps to protect the skin from the damage of the sun’s rays, supports the skin’s ability to rejuvenate and refresh depleted skin. Aloe Vera Juice is added for its anti septic and deodorising properties. Rose water is added to tone and balance the pH level of the skin and it leaves the skin fresh and glowing. 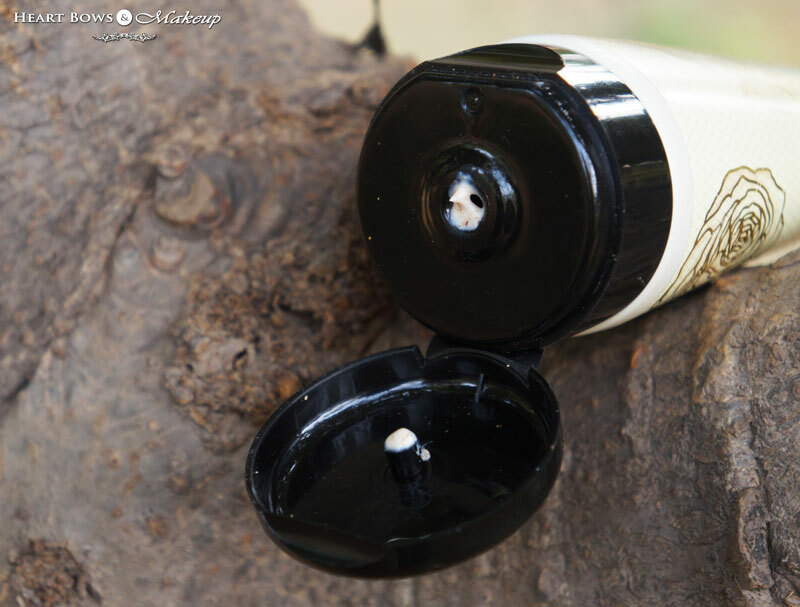 The Kama Ayurveda Body Polisher comes in a beautiful squeez-y tube with a black flip open cap. Usually I do not like tubes for body polishers or scrubs as it gets hard to take out the product but the body polisher is not that thick in consistency and comes out easily. You do not need to scoop out the product, hence no hygiene issue. 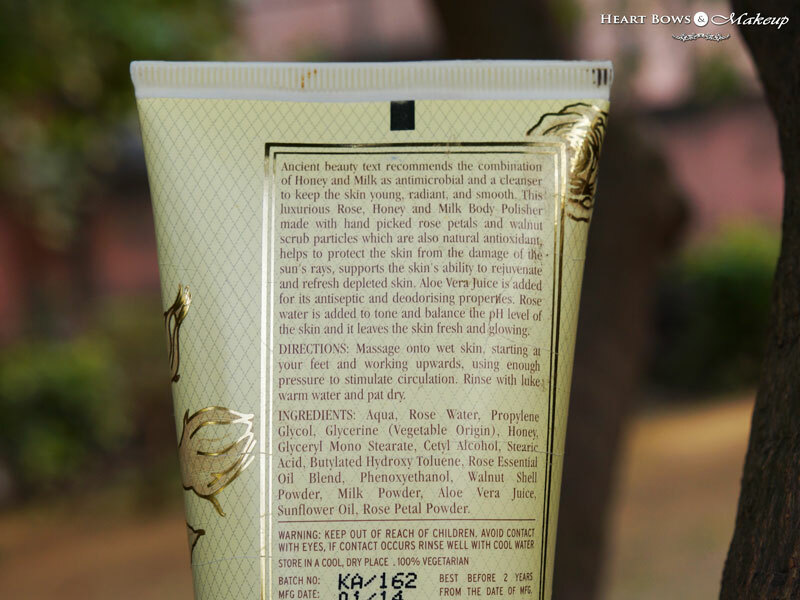 The consistency of the Kama Ayurveda Rose Honey & Milk Polisher is creamy and not overtly harsh. It scrubs and exfoliates the skin extremely well without feeling too rough. I’m not a fan of mild polishers for the body and this one thankfully, doesn’t fall into that category. Kama Ayurveda Rose & Milk Body Polisher has a beautiful rosy scent which totally uplifts the senses and is the best way to start your day. Kama Ayurveda products are a wee bit expensive but I find them well worth the money. They are luxurious, contains natural & organic ingredients and the perfect way to pamper oneself! 2) Contains beneficial ingredients like walnut particles, rose water, honey, milk, aloe vera etc. 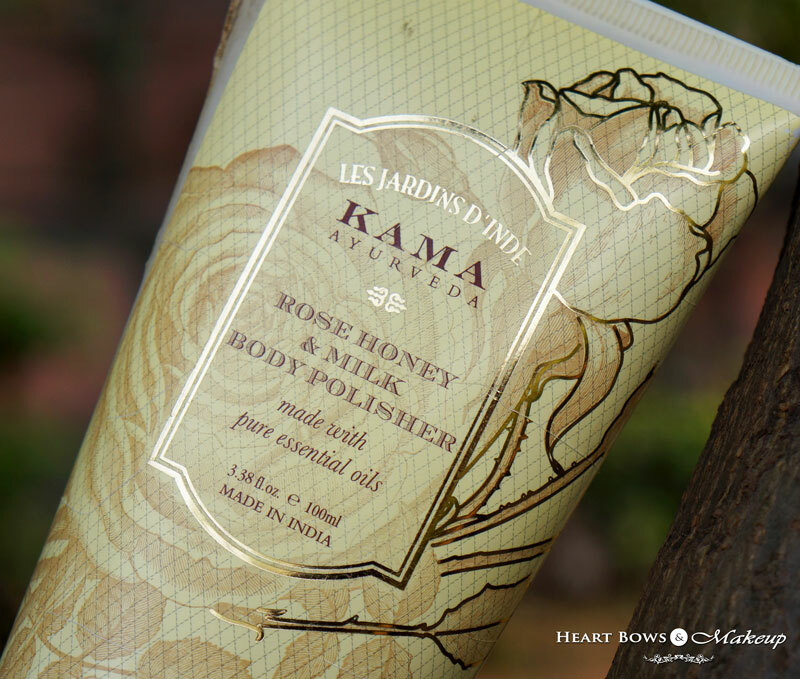 HBM Recommendation: Kama Ayurveda Rose Honey & Milk Body Polisher is creamy in texture and exfoliates the skin extremely. It makes my skin baby soft and radiant after every use. I like that it is abrasive enough to remove dead skin yet does not feel too harsh. If you love pampering your body then this my ladies is a must have in your bath! One of the best body polishers in India! Valentines Day Gifts For Her: Unique & Romantic Ideas! DIY Valentine’s Day Gifts: Cute, Affordable & Unique Ideas!